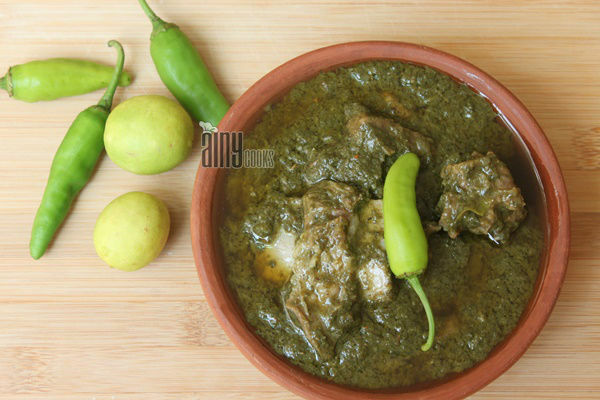 Palak/ Spinach Gosht is a healthy and nutritious recipe, specially serve in winter season. I am posting a very different and delicious recipe today. 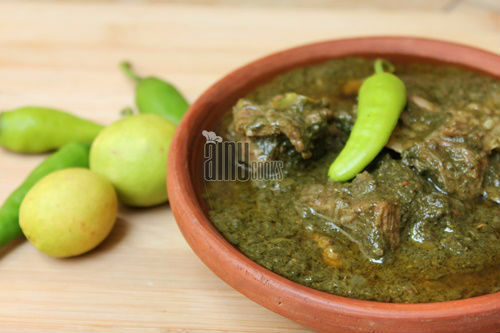 I don’t know its a famous recipe in Lahore or not but I am sure you will like the taste of Lahori Mutton palak. I have used home grown organic spinach in this dish. I will post method of growing spinach at home in my next post. 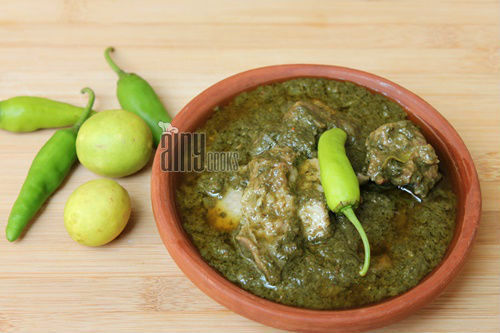 In washed spinach add 1-2 glass water, green chilies, turmeric powder 1/2 tsp, Methi dana (fenugreek seeds), salt, ginger garlic paste 1 tsp and 1/2 tsp vinegar. Vinegar will enhance the color of spinach. Cover with the lid and cook till soft. In another pot add oil and cumin powder, stir and add ginger garlic paste 1 tbsp, stir and add meat and salt. Cook till color change. In yogurt add red chili powder, coriander powder and mix well. Add in meat and mix. Cook for few minutes and add brown onion, crushed coriander seeds and all spice powder 1/2 tsp. Cook till oil separates. Mutton will take more time than chicken. Add in meat and cook till required consistency obtain. You can add 1-2 chicken cube, if you like.